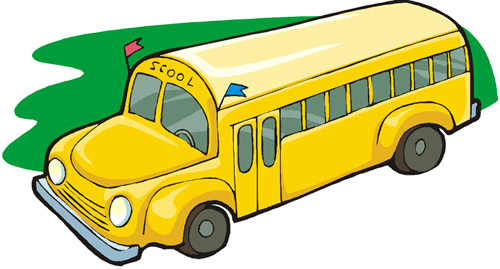 School transportation is offered to Gwinnett County students who live in the Fort Daniel attendance zone. School transportation is a privilege extended by the Board of Education; it is not a right. All students are required to obey bus conduct rules posted in each bus. These rules are to protect the safety and well-being of all students. Failure to observe these rules can result in suspension of bus privileges. Your child’s bus driver will go over these rules with your child the 1st week of school and will remind the students as needed but at least monthly. Students are expected to be at the bus stop 10 minutes before the bus is due. Every effort is made to provide a seat for all riders. On occasion this may not be possible. When a route becomes overcrowded, it is divided. Should it become necessary to change an existing route, the parents are notified prior to implementing the change. Bus route information is available at your school. Your child will receive a bus tag from his/her teacher the first day of school. This tag needs to remain on the child’s book bag for the remainder of the year. If your child’s information changes, you will need to request a new tag. The Zone Supervisor and Team Leaders assist the bus drivers with any student behavior concerns on the bus. In the case of minor infractions, parents will receive a phone call from the bus driver. If the inappropriate behavior continues a disciplinary referral is completed and turned into the school administrator. If the infraction warrants immediate action the phone call will be bypassed and the disciplinary referral is turned into the school administrator immediately for action. Bus drivers complete both classroom and road training before being assigned a route. The Gwinnett County school bus driver-training program far exceeds that required by the state to drive a school bus. Each school is assigned a team leader who is responsible for supervision of the buses in the area he/she serves and intervenes when there is any problem. The Dispatch Customer Service line is 770-513-6686. Home to school and school to home transportation information for your child is collected through the registration process. Any change in this plan must be submitted in writing, dated, and signed by the parent or guardian to your child's teacher when your child arrives for the day. Transportation changes are for a one day period of time only. For your child's safety, no changes will be accepted via telephone or email. Only in EMERGENCY SITUATIONS will a fax be accepted in lieu of a hand delivered note. The fax must include a copy of the parent or guardian's driver's license and the office staff must be alerted by telephone to expect the fax.